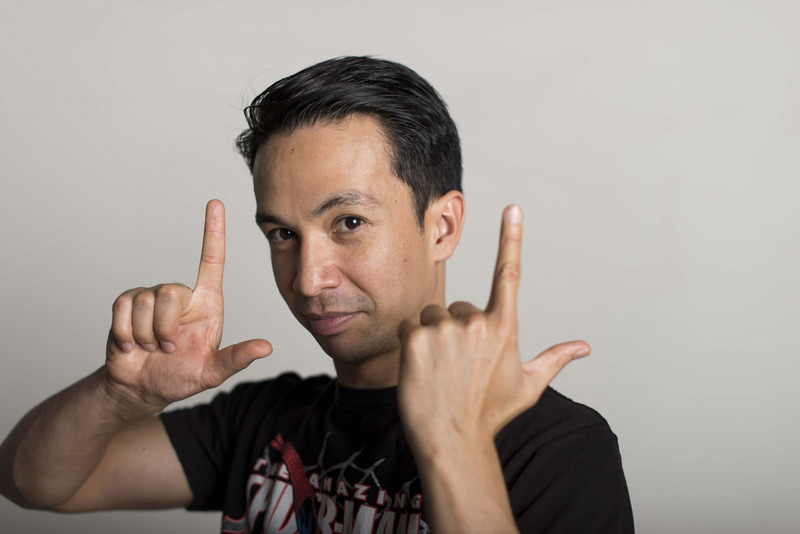 Laidback Luke has one of those inviting, nurturing auras that makes you feel instantly comfortable the second you’re in his presence. He brings that same nature to his work, where he continues to mentor some of the most promising producers in the scene, and he brings it to his label, where he provides a platform to foster immeasurable talents. Through his innovative take on the industry, Luke’s accomplished in the past decade what many would’ve set out to accomplish in a lifetime. Read on to hear WTF happened with S.A.X on Beatport, his most crucial advice for aspiring producers, and more. What’s up with your latest hit S.A.X. being removed from Beatport? Yeah, it’s a tricky thing nowadays. Basically, we saw other record companies saying that if you handed in your receipt, they’d give you like a pair of headphones or a helicopter ride or stuff like that, and we really wanted to push that to another level, so we just gave them the option of getting their money back. These other record labels protested, and then as a fine, Beatport took us out of the Top 10. Haha, yeah. Rough indeed! We might just need to stick to headphones. It really wasn’t us trying to push our way into the charts, it was just us coming up with new and inventive ways to crack the system, because right now, you see a couple of record companies that are always in the Top 10 no matter what they release—regardless of whether it’s good or bad. Instead of taking the illegal route, we wanted to do it all out in the open and we got punished for that. The unique sax melodies were unreal; what inspired you to create the track in collaboration with Tujamo? You’ve done so many awesome collabs. Who was your favourite producer to work with? There were a lot of really awesome people to work with, but the one that stood out the most for me was Dyro. He started off as a student of mine on my forum, and was asking me for production tips and everything, and right now he’s like a professor of sound manipulation! The amount of talent he has is unbeatable. For instance, a guy like Afrojack, who was also a past student of mine, he has such amazing talent, but I think Dyro might be twice as talented as Afrojack. It’s a bold statement, but this is how I think his odds are. I believe in his ability. I even tested him on the spot: I was like, “OK, so can you do this, can you do that, can you do something out of the box,” and he could do it all. The possibilities he has are limitless. I didn’t know you’d mentored so many people. Do you have any advice for up and coming DJs/producers? Absolutely, always. I’ve been doing this online since 2001, because I wanted to be an open book for any talent that came to me, so many professional names you know right now started off getting tips from me. Avicii’s another one, for instance. It’s pretty insane. Right now, I’m still doing that, and guiding the new talents of the future. What’s very important is to always keep following your dream and to be persistent; never give up on it. It really is possible for any type of person right now to take over the world. I have talents from Indonesia, Colombia, Chile, who all used to think that it wouldn’t be possible for them to break through, but right now they’re professional names. Do you think it’s something that can be learnt, or something you have/don’t have? No, definitely something that can be learnt! it’s just a long struggle. But if you go through it, then you’ll make it. Out of all the labels you’ve released on, which was your favourite and why? It grew from just being an outlet for me to release my tracks, with just me and my manager running it, to a team of almost 10 people. We have a social media team, an A&R team, and a publishing team. We’re happy for it to be a platform for new talent, and to help push them out there. I find each label sort of has its own distinct ethos, so how would you describe that of Mixmash? I’ve always prided myself on really trying to look into the future. We try not to follow what’s going on too much; we actually try to set the trends, instead. We’re always on the lookout for future sounds, and what’s next. We’re in the more commercial corner, but we always try and keep that edge that keeps it interesting. We can’t wait for your performance at Ultra in a month. Any other plans for WMC? Absolutely! I’m very excited that the Mixmash Pool Party is returning—it’s become a yearly tradition. Super You&Me is back at Story and we should be announcing the lineup soon, and I’ll be doing my Kung Fu class as well. Last year, we skipped it because of the birth of my daughter. I was actually scheduled to perform on the mainstage of Ultra, but I couldn’t do it. She’s going to be a year old during WMC this year! How do you balance family life with your career? The only way to do that, and it may sound boring, is scheduling. My life is really scheduled out. In this life of entertainment, it’s really easy to lose yourself in the chaos, but the way my wife and I make it work is to really just plan out the trips and the time we see each other. We just make it work. What’s up for 2015? Any forthcoming albums? The funny thing is, my last album came out in 2001, and that’s ages ago. After that album came out, I stopped believing in albums. It usually takes you 1.5 years to finish, and right now 1.5 years can be the end of your career. So I never really dove back into it, but now when I see people like Knife Party releasing an album, Hardwell releasing an album, I’m thinking it might be a good idea. So, not for 2015, but it’s in the back of my mind. For 2015, I already have a bunch of singles line up. Everything’s going great. There are a lot of people that list you as their musical inspiration, so who’s that person for you? Chocolate Puma. They’re the ones who discovered me back in the day. They signed me as an 18-year-old; they believed in my talent and they helped push me. I love those guys. We made a track together, too. It’s those types of people that keep going strong, and are a little bit older than I am, that keep me very much motivated. I went to the same high school as one of the Chocolate Puma guys, and I went with a cassette demo asking him to hear my music. It basically grew from there.